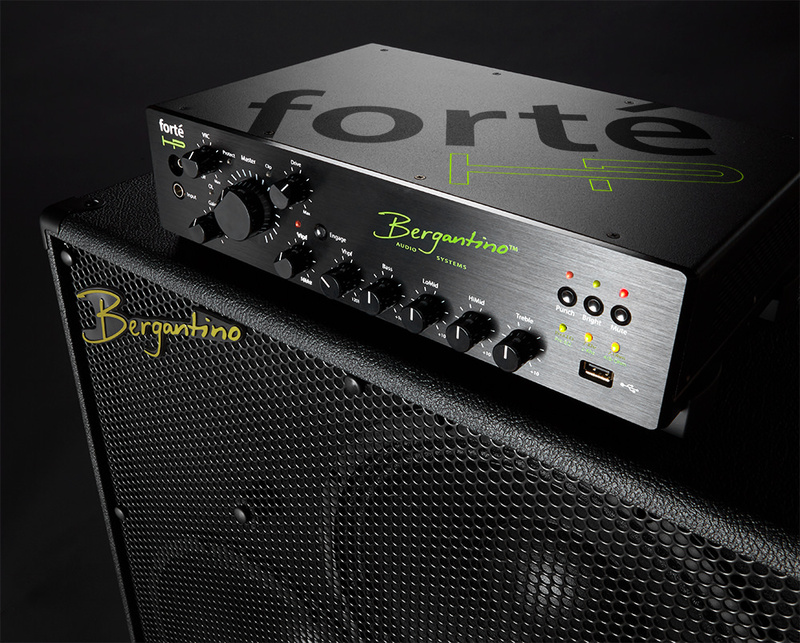 The Bergantino forté HP takes bass amplification to a whole new level of performance. Just like an 8-cylinder vs. a 6-cylinder engine, the new 1200 watts of ultra-reliable, Class D power offers unprecedented “slam” in a lightweight, portable package. Jim Bergantino, never content with the status quo, designed the forté HP for the player who requires massive headroom and control over his or her tone. It delivers a formidable sound with ease, combined with an unprecedented level of comfort and confidence. This amp harkens back to the classic lead sleds that players have been longing for, an incredible thump without the weight…it has to be experienced! with a special introductory price of just $1,399. 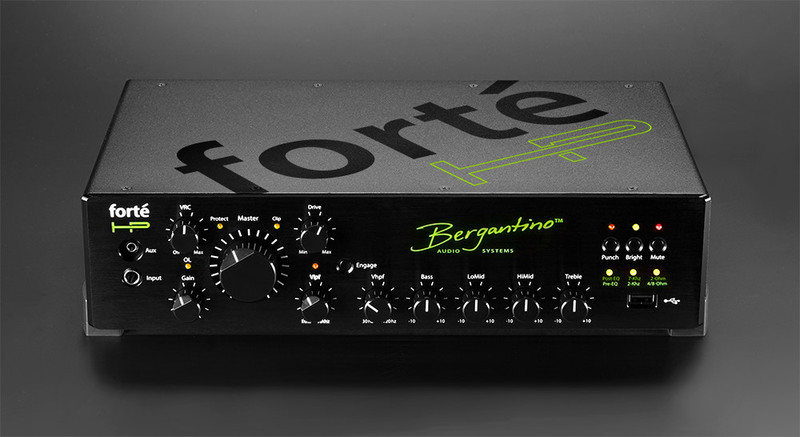 Make no mistake, the forte’ HP will cruise along while other amps are begging for mercy. It has the ability to control every inch of the note with a quickness and command that will not only be heard, but felt! Drive Circuit: Goes from Soft Clip “purr” to mix shredding distortion. Featuring our new proprietary B.S.D. (Bergantino Smart Drive) technology. Variable Low-Pass (VLPF) and Variable High-Pass (VHPF) filters, critical for precise tone shaping and taming of the most challenging gigging environments.